Garlic has been in storage in the root cellar for six months. It was decided to use it. Method was to process, crush and place in daily bite size pieces for ingesting. Garlic must be crushed and eaten raw to obtain the maximum benefits. Pictures delineate the process. 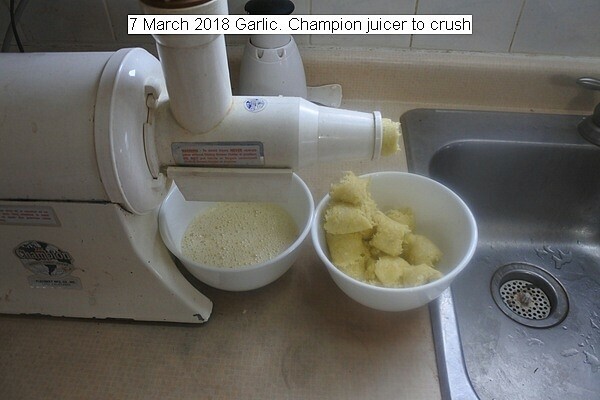 This entry was posted in Uncategorized and tagged 7 March 2018 Garlic Processing, Garlic, Garlic Processing. Bookmark the permalink.